The SMART SCHOOLS BOND ACT OF 2014 authorizes $2 billion of general obligation bonds to finance improved technology and infrastructure to enhance learning and opportunity throughout the state. The below links provide you with a single portal from which you can easily obtain the latest information and guidelines provided by the State. We have also provided links to relevant research about the benefits of technology in the classroom, as well as news stories that provide vivid examples of where it’s already working. Please be sure to bookmark this page, as we will continue to update it with any new information or documentation that becomes available. And remember, A+ STEM Labs offers a wide range of leading technology solutions that qualify for Smart School funding. Questions have arisen from the field regarding specific eligible expenditures relating to software, warranties and/or licenses. As noted in the Program Guidance, the Smart Schools Bond Act program will require the State to sell tax-exempt capital bonds to fund all approved expenditures submitted for reimbursement. Due to this reimbursement, SSBA funds cannot cover any form of software, warranties or licenses relating to any category of a plan. Districts should support these operating expenditures with other local funds. Some devices that districts purchase come with a manufacturer’s warranty or include integral operating software. These expenses are included in the initial price of the device and therefore are eligible; however, additional warranties, licenses, or software “bundled” into the device price are not eligible. SSIPs that are submitted including these expenditures will be returned to districts to adjust and therefore, could delay approval of the Plan. In order to ensure a smooth process, please check the narratives and budgets in your Plan carefully to confirm that these types of expenditures are not included. Be prepared when you go online to submit your investment plan. This document explains all the necessary information you will need to provide. The New York State Education Department is requiring all public school districts in the state to submit instructional technology plans, as outlined in Part 100.12 of the commissioner’s regulations, by Oct. 16, 2015. Smart Schools Bond Act implementation guidelines confirm that submission of these plans is a prerequisite for a Smart Schools application. 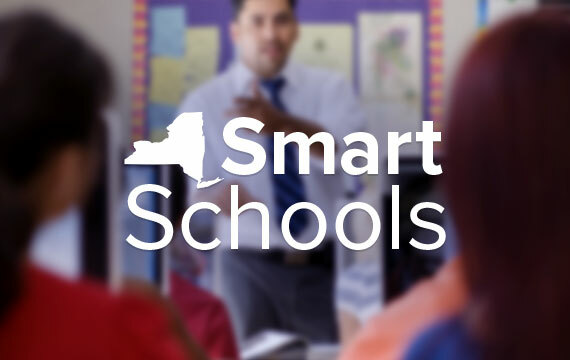 Click on the above links to see how much funding your school district is eligible for from the Smart Schools Bond Act. Currently, there is no “on or after date” for use of the allocated funds. Any amount of a school district’s allotment which is not spent in a school year is carried over to the next succeeding school year. In response to feedback from the field regarding certain circumstances where achieving the connectivity speeds detailed in the previously issued guidance may be extraordinarily difficult, a waiver system has been developed. Criteria for the waiver is outlined in the Connectivity Waiver Criteria. If you believe that your district may meet these criteria, please contact the Smart Schools programs office atsmartschools@nysed.gov. Reference these documents for additional guidance and assistance.